Plans to introduce an optimum carryon bag size have been put on hold after the International Air Transport Association’s (IATA) CABIN OK initiative drew a negative response from some quarters. IATA said in a statement it was pausing the CABIN OK rollout and would start a “comprehensive reassessment in light of concerns expressed, primarily in North America”. “This will include further engagement with program participants, the IATA membership, and key stakeholders,” the airline body said. 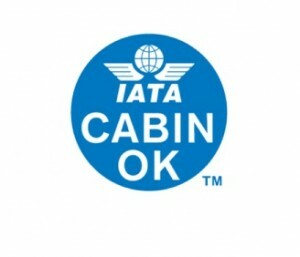 IATA launched the CABIN OK concept at its recently concluded annual general meeting in Miami with the aim of providing “greater assurance” for passengers that their carryon luggage would travel with them as hand luggage even when a flight was full. Following consultations with the major aircraft manufacturers, IATA determined that a 55cm x 35cm x 20cm bag was guaranteed to fit in an overhead locker or under the seat of an aircraft with 120 seats or more, such as a Boeing 737 or Airbus A320. And it said it was working with luggage brands such as Samsonite and Tumi to produce bags within that size limit to include an “IATA CABIN OK” logo that identified a bag as within those dimensions. The logo would be recognised by airlines participating in the scheme and given priority to remain in the cabin on full flights when cabin storage capacity is exceeded. While IATA said a number of airlines had expressed interest in the concept, media reporting in North America has been mostly negative. The headline on a USA Today editorial board column on June 16 column read: “CABIN OK is not OK: Our view”. “Just when you thought flying couldn’t get any more annoying, some major international airlines and their trade association have decided your carry-on bag is too big for their overhead bins. They’d like you to buy a new, smaller one,” the column said. Also, Airlines For America president Nicholas Calio said no US airlines supported the CABIN OK initiative. “It is unnecessary and flies in the face of the actions the US carriers are taking to invest in the customer experience,” Calio said in a statement on June 17. The initiative even reached the US House of Representatives, where Tennessee Congressman Steve Cohen introduced the “Carry-On Freedom Act” in an effort to prevent airlines from reducing the maximum size of carry-on baggage. IATA senior vice president for airport, passenger, cargo and security Tom Windmuller said CABIN OK was about providing travellers with a “simplified and better experience and stressed it was a voluntary program for airlines and for consumers. “While many welcomed the Cabin OK initiative, significant concerns were expressed in North America,” Windmuller said in a statement. 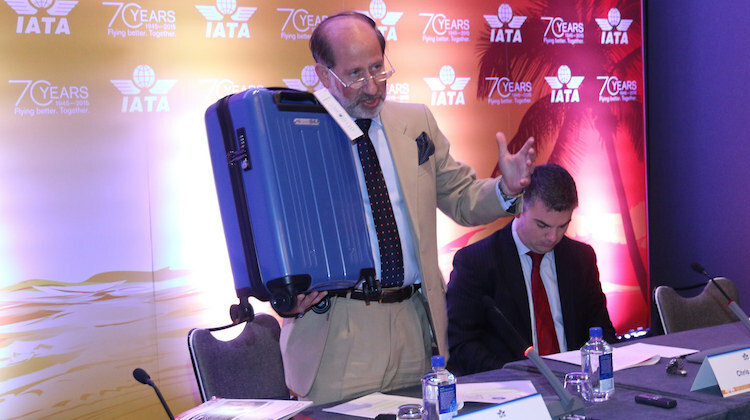 IATA sought to reiterate that the CABIN OK initiative was a guideline for an optimally sized bag and not an industry standard, travellers would not be forced to buy a new bag to travel and airlines would continue to have their own policies for a maximum size for carryon bags. Aeroplanes have a cargo hold for a very good reason – to carry people’s bags. The paranoia that some pax have that their luggage must travel in the cabin with them is a legacy of 30+-year old jokes about airlines (mainly US) losing bags. It’s a rare occurrence these days with all the automated processes in place. The airlines haven’t helped with pushing “no luggage” fares – all it does is incentivize people to try and bring all their worldly goods on board with them !! I travel a lot and try to check as much of my luggage as possible. I might wait 10 minutes longer and be a few places behind in the taxi queue but I have a far more comfortable ride in the plane. When I can, I just get on with my boarding pass, phone and newspaper ! !